The program aims to gather 40+ companies and 40 investors who engage over a twelve week period in pitches, reviews, sorting and due diligence. The investors will meet each week until May 15th. The participating startups will first have their GUST profile reviewed and then the top 24 will be selected for the quarter finals. The QuarterFinalists will be asked to give 3 minute pitches and do a 3 minute Q+A on March 13 or March 20th. The SemiFinalists will be asked to give 10 minute pitches and 10 minute Q+A on April 3rd or April 10th. The 6 Finalists will be selected on April 17th. Due diligence teams will meet with each of the finalists until the final event. The Angel Conference does not have a sector bias, so any type of growth company is welcome to apply. The companies that have made it to the finals include lettuce companies, Snowboard clothing companies, Fashion companies, Mobile Apps, Battery manufacturers, SAAS companies, Book publishers and many more. Companies that would find a $200K investment as a significant opportunity to reach a critical milestone should consider this opportunity. The startups should expect to have significant growth, be at or near first revenue and have evidence of progress in their startup. Repeat engagement with the conference is usually helpful for the companies. A small story of persistence: One engineer left BigCo and had a not-so-great idea. Applied to the conference, made no progress. Came back again, with a better idea. Still no team, still no traction. Made no progress.. Came back a third time, good idea, had a team, still no traction. Made progress, but did not get funded. Came back a fourth time, same good idea, working team, progress with customers , won the event. Now this company is well on the way to being in the top of the portfolio. The 13th cycle of the conference is being hosted by UW CoMotion Labs. There are two conferences a year, with workshops, office hours, investor meetings, due diligence and a big event in each cycle. Every other cycle is on the Eastside. The founder of the Seattle Angel Conference is John Sechrest, an active investor who supports the ecosystem through the Open Coffee meetings, Lean Startup Seattle and the NW Fund Manager Peer Learning Group. The LLC manager for this round is Allen Niemann. Yoko Okano will be the fund manager for the next round of Seattle Angel Conference. Seattle Angel Conference is now in its seventh year. The Conference mission is to engage new investors in Angel Investing, teaching Angel Investing by doing Angel Investing. Along the way, each of the startups gets feedback and gets a change to engage with angel investors who are actively writing checks into the ecosystem. 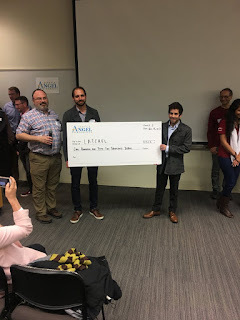 Seattle Angel Conference aims to invest between $100K and $200K into each winner. Over the last 12 cycles, between winners and side investments, there have been 26 investments. These represent efforts of 300 new Angel Investments who invested close to $2.5M into these companies. Timeline of Angel Conference meetings.